Parliamentary Representative for St. Andrew South East, Hon. Emmalin Pierre, has launched several projects in her constituency geared at enhancing the community spirit and engaging residents in meaningful lifestyle exercises. The projects were launched at a brief ceremony in Mamma Cannes on Wednesday 15 May, 2013. In her first endeavour, Mrs. Pierre, hammering a nail in a 2 x 4 piece of lumber to set up a wood panel, signalled the recommencement of work on the Mamma Cannes Community Centre. The project which was initiated by Mrs. Pierre sometime in the second quarter of 2007 was halted by the Tillman Thomas-led administration of July 8, 2013. No reasons were given for the stoppage. Speaking at the ceremony, the St. Andrew South East MP pledged her commitment to complete the construction of the building, which will serve as a hurricane shelter and a resource centre for educational and community activities. The Mamma Cannes villagers, most of whom would be attached to the community development organization in the area, showed their appreciation to Mrs. Pierre for what they considered as a job well done in the first one hundred days as Parliamentary representative in the Keith Mitchell-led NNP government. 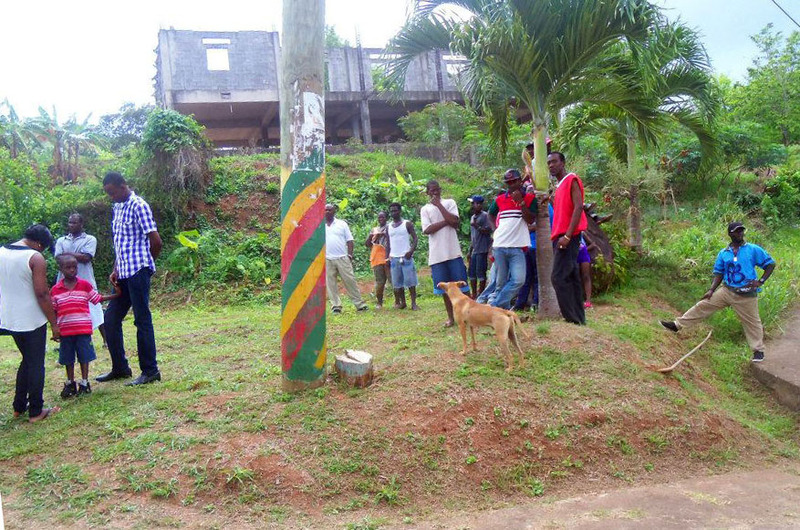 One resident, Atiba Mawuto, passionately expressed his gratitude for the gesture and called on villagers to rally around the St. Andrew South East MP, who, according to him, is a woman of action. Among others programmes launched were the Inter-primary School’s Literacy competition; the back-yard gardening competition; a scholarship programme and the reconstruction of the Crochu Basketball court. Mrs. Pierre further announced that next month five programmes will be launched in another part of the constituency. She also spoke of government plans in the recommencement of the debuting programme and work on six minor roads within the district — two in Telescope, one in Crochu, two in Grand Bacolet and one in Marquis. It was also hinted that the process involving discussion among residents is to begin on Friday 17 May, 2013, for the long-awaited construction of the Grand Bacolet to Munich farm road. The meeting is expected to be attended by key technocrats within the Ministry of Works. The St. Andrew’s South East MP has been entrusted with the responsibility as Minister for Youth, Sports and Ecclesiastic Affairs, following the New National Party’s victory at the polls on 19 February 2013.